The Supreme Court on Tuesday asserted that “purchaser ought not to be allowed to reap the benefits of her own delay in taking possession”. 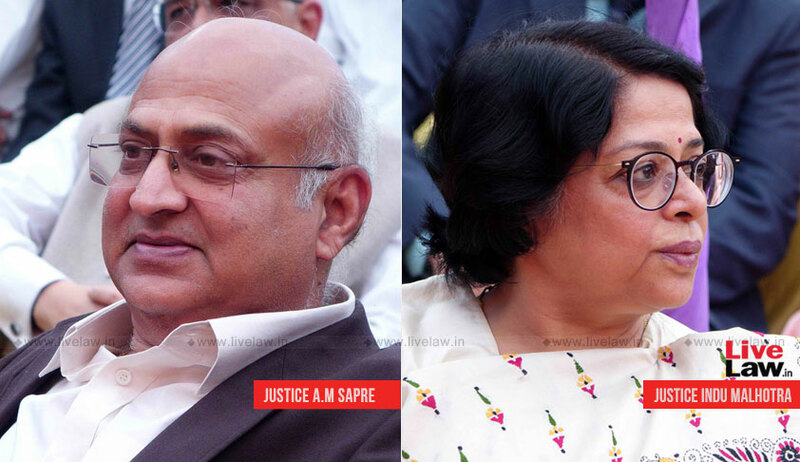 Consequently, while upholding compensation to a disgruntled home buyer, a bench comprising Justice Abhay Manohar Sapre and Justice Indu Malhotra reduced the time period for computation of the amount, noting the delay on the part of the buyer in taking possession. The court was hearing appeals filed under Section 23 of the Consumer Protection Act, 1986, challenging a judgment passed in March this year by the National Consumer Disputes Redressal Commission. The dispute concerned a project named ‘Capetown’ developed by the builder in Noida. A flat was allotted by the builder in this development to one Ms. Rajni Goyal in May, 2012, with the Allotment Letter stating that possession would be handed over in October, 2013. The letter allowed extension upto a maximum period of six months due to unforeseen circumstances. However, the builder handed over a Pre­-Possession Letter to Ms. Goyal only in October 2015, for completion of formalities, before possession could be handed over. With the letter, she was called upon to pay Rs. 12,35,656 towards the balance cost of the flat and several other charges. She, however, failed to pay the charges. Ms. Goyal, then, after over fifteen months, in March, 2017, filed a Consumer Complaint under Section 21(a)(i) of the Act before the National Consumer Disputes Redressal Commission. She had challenged the Pre­-Possession Letter on the ground that on the date of issuance of the letter, the builder had not obtained the Occupancy Certificate. She had also challenged the various charges demanded by the builder in the letter. Partly allowing the complaint, the Commission had approved payment of a few charges but had ordered payment of compensation to Ms. Goyal in view of delay in handing over of the possession of the flat. It had, therefore, directed the builder to pay compensation at the rate of 8% per annum from November, 2013 (after expiry of scheduled date of handing over possession) till the date possession was actually offered to Ms. Goyal. The Supreme Court now noted that the Full Occupancy Certificate was obtained by the builder in April 2016, and that Ms. Goyal could not have had any further grievance after that. It, therefore, directed the period of compensation to be computed from May, 2014 to April, 2016, despite the fact that she approached the Commission in March, 2017. “Furthermore, the period of Interest should close on April 2016 when the Full Occupancy Certificate was obtained as per the admission of the Respondent – Purchaser herself in Para 4(j) of the Consumer Complaint, wherein she has admitted that the Appellant – Builder had obtained the Completion Certificate as late as April 2016. The Respondent – Purchaser could not have any further grievance after April 2016 with respect to delay in handing over possession. The Respondent – Purchaser ought not to be allowed to reap the benefits of her own delay in taking possession,” it explained.